Sony isn’t doing great these days. Today it was reported that is has registered a $2.9 billion annual loss. Most analysts think that Sony might be headed in the same direction as other major consumer goods manufacturers ended up in. 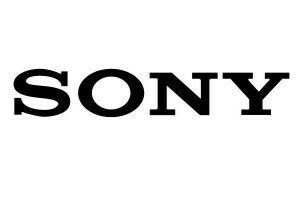 Reuters said that Sony posted a disappointing $1.2 billion operating loss for October-December which normally are good months for sales considering the holiday season. Some of it was caused by a strong yen and flooding in Thailand stuffed up supplies, but this is the fourth year that the company has gone into the red. Kim Young-Chan, analyst at Shinhan Investment Corp in Seoul, was quoted by Reuters as saying it will not be easy for Sony to regain its lost ground under new leadership. Its competitiveness has sharply weakened and it has structural problems that will take years to fix. Sony kept its forecast for annual sales of 20 million LCD TVs, but trimmed the number of digital cameras and PlayStation 3 consoles it expected to sell. Next year Sony hopes to halve its TV losses, which were 220-230 billion yen this year. Pentagon Spends $6.9 Billion on a Software that’s 12 Years Late! Robots to top $17 Billion in Sales by 2013!